2018 Gone Fishin’ will take place from Saturday June 9th to Saturday June 16th. 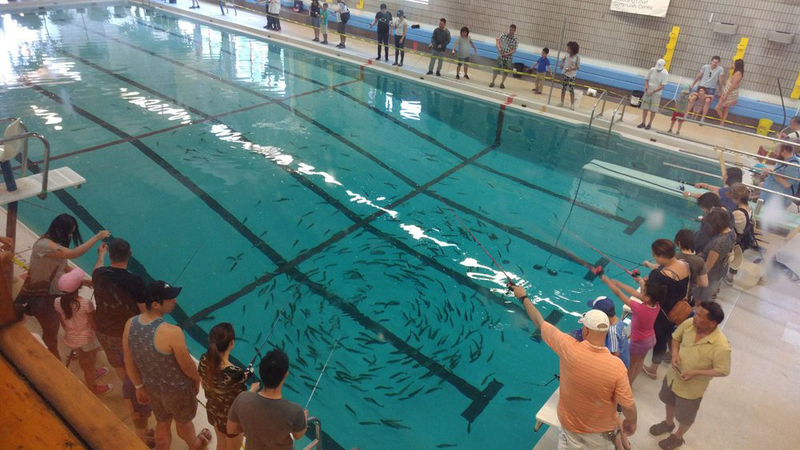 Every year Scadding Court pool is transformed into Toronto’s only trout pond! 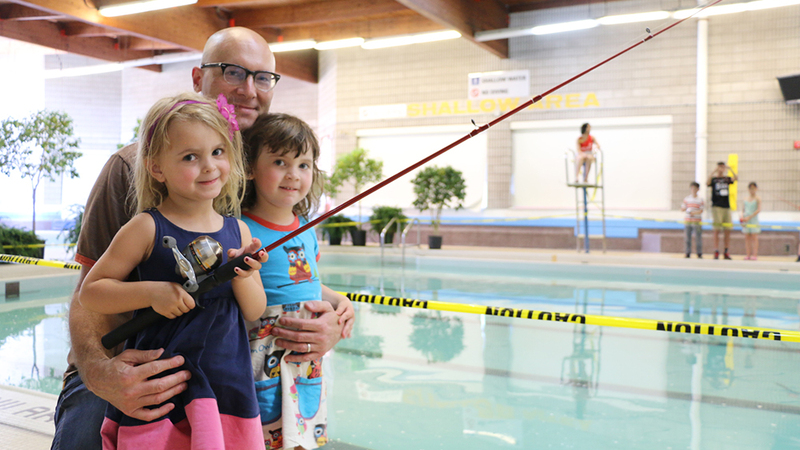 People of all ages and abilities get a chance to fish for rainbow trout. This is an excellent chance to not only learn how to fish, but also learn about ecology, the environment, nutrition and where food comes from. 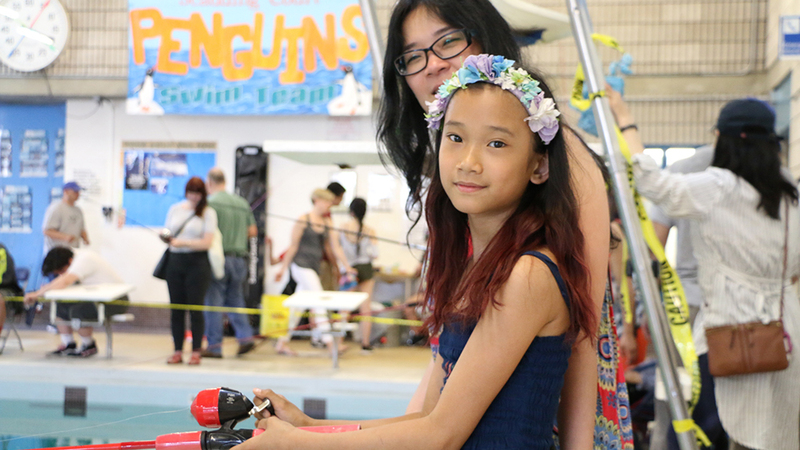 This unique event addresses issues of health and wellness, food access and security and presents an innovative alternative use for public swimming pools as community resources. Whether you are coming with your class, family, or just walk in, this is an event you do not want to miss!